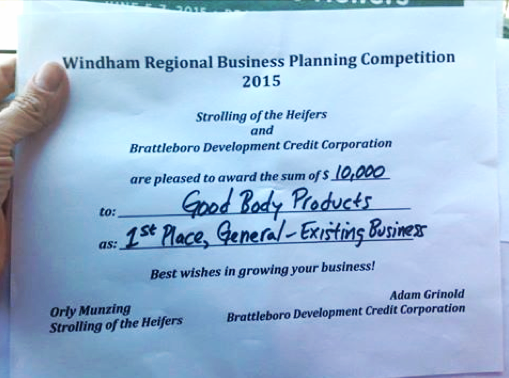 for the 2015 Windham Regional Business Planning Competition. 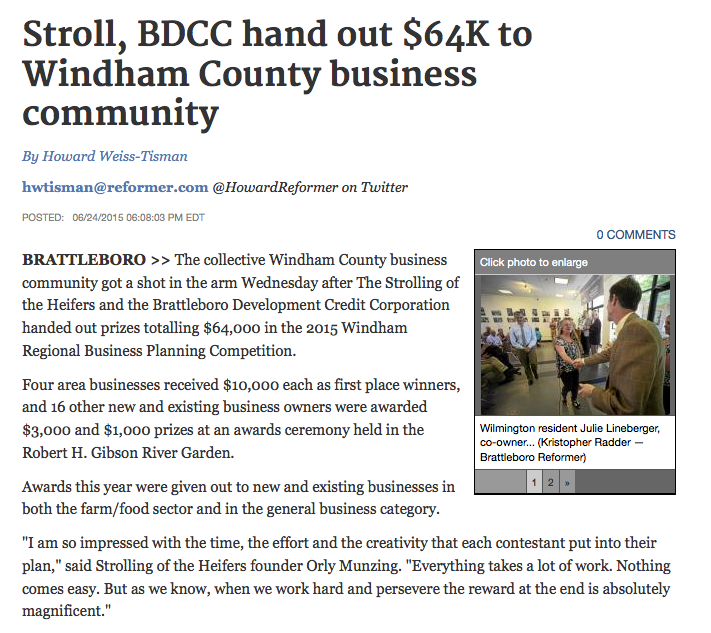 Thank You to the Windham County business community & The Strolling of the Heifers! We are so very grateful! 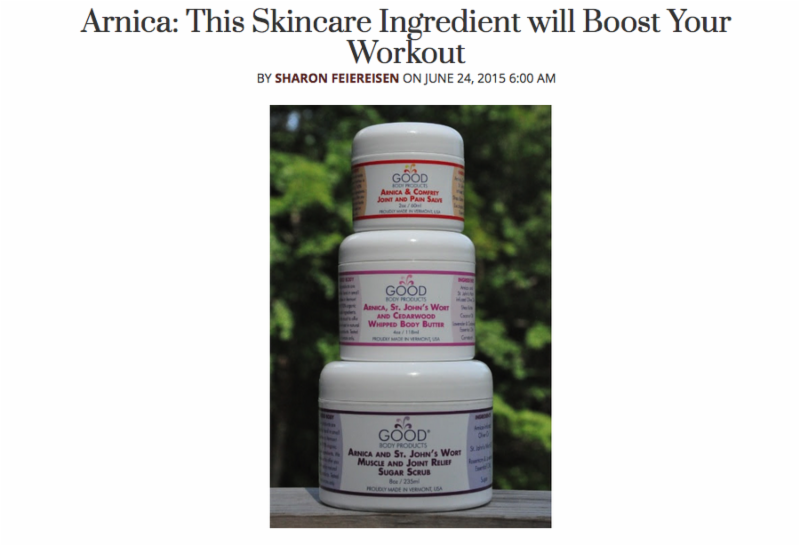 Snob Essentials gives our Arnica Products a thumbs up! Soreness is good. It means you actually worked hard during your workout and now it's time for your body to repair itself. I spoke with Eric Orton, the famous run coach in Born to Run, a few weeks ago and he told me something that surprised me, however. He said that if you're very sore the day after your workout, the best thing to do isn't to take a day off but to do an easy workout/go for an easy run to release the toxins. He also recommended an ice bath. Luckily, because the chances of my getting in frozen water are less than zero, there's an alternative to cold water and it's called Arnica. Arnica is a plant that athletes have been using to help speed up recovery for decades. It's wholesome and better yet, from my experience, more effective than popping an ibuprofen pill. I love Good Body Products. They make a bunch of Arnica-based products with St. John's Wort and other actives to help boost the products' ability to help fight soreness and swelling. All you do is rub the homeopathic remedy exactly where it hurts. Note that Arnica is also an effective ingredient to help mitigate puffy eyes since it helps fight inflammation.